In the first two parts of this series we saw how the ‘Get of Cleves’ controversy embroiled the rabbinic world of the late eighteenth century as the fate of a recently married and divorced couple became the table talk in dozens of communities across Europe. With the Frankfurt beit din refusing to back down over their controversial ruling to invalidate the divorce, the stage was set for a difficult showdown. In March 1767, half a year after the events in question, the senior rabbi of the time, Rabbi Yaakov Emden, dismissed the Frankfurt beit din’s position as untenable, and implored them to reverse their position so as not to make utter fools of themselves. They refused to do so, and instead began to publicly denounce anyone who opposed them over their stance. 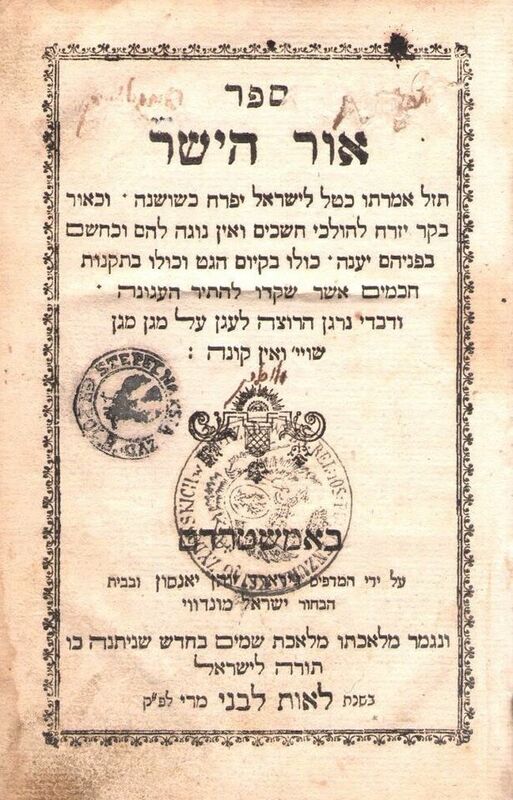 At around this time, Rabbi Yechezkel Landau of Prague, author of the Noda Biyehuda, intervened in the controversy. Still quite young and not nearly as well known as he would be ten or fifteen years later, Rabbi Landau was by nature a leader and a man of action. In his opinion the Get of Cleves was without doubt a legally viable document, but nevertheless he felt that Rabbi Lipschuetz of Cleves, who had presided over the divorce, should try and negotiate a face-saving compromise with the Frankfurt beit din so that everyone could walk away from the controversy with their heads held high. But after making a number of approaches to the rabbis of Frankfurt, he concluded with regret that they were in no mood for a compromise of any kind. Once this became evident to him, he immediately issued a public ruling validating the Get of Cleves. In his pronouncement he rebuked the Frankfurt dayanim for their obstinacy, and for claiming sole jurisdiction in the case, and suggested forcefully that they immediately reverse their decision in accordance with the majority view of all the other rabbis who had ruled on the case. In a last effort to be conciliatory, he wrote that as he was sure the Frankfurt beit din had initially acted in good faith and in accordance with their religious convictions, their refusal now tocomply with the majority view was understandable. But, he said, it was a grave violation of Jewish law to question the legitimacy of a valid Get, and therefore, although he did not wish to offend the Frankfurt rabbinate, his duty to justice and Torah law compelled him to declare that Leah was free to remarry immediately. He nevertheless suggested that she should wait a full year from the date of the divorce, to give the Frankfurt rabbis a chance to reconsider their position. Rabbi Landau was far from done. He wrote to Rabbi Aron Shimon Copenhagen, who had attended the wedding of Isaac to Leah, and later the divorce, and asked him to publicize the Prague speech as widely as possible, and also to send printed copies of the validation of the ‘Get’ toas many rabbis and communities as he could. Even at this juncture he made an attempt to get the Frankfurt rabbis to back down. But it was no use – not only were they in no mood to listen, in March 1768 they took his published letter and publicly burned it in front of the whole Frankfurt community. Rabbi Landau was not alone defending the Get of Cleves. In the early Fall of 1767, Rabbi Yosef Steinhardt went public with his ruling in favor of the Get. The following month Rabbi Yehoshua Heschel of Ausbach did the same. Towards the end of the year ten rabbis from Brody in Poland validated the Get. Rabbi Shlomo of Chelm, a renowned and respected halachic expert, was next to come out in support of the get, and he was followed by Rabbi Arye Leib of Hanover, son of the former Chief Rabbi of Frankfurt, Rabbi Yaakov Yehoshua Falk, author of Pnei Yehoshua, and whose students included the dayanim of Frankfurt. In Frankfurt the mood remained belligerent and unrepentant. Copies of the avalanche of rulings by the various rabbis were publicly burned, and a stream of pronouncements were published, all of them restating that the Get of Cleves was not worth the paper it had been written on, and Leah was forbidden to remarry without a new Get. Although they never explained their inflexibility, it seems that the Frankfurt beit din were of the view that sanity and insanity had to be judged contextually and holistically. If the behavior leading up to the Get process indicated that the husband was insane in some way, then his instruction to give the Get could also be considered part of that same trend. Isaac’s disappearance with the money on the Shabbat after his wedding was a clear indication that he was mentally ill, and therefore any subsequent act – including his instruction to write a Get – had to be treated as part of his mental breakdown, even if he appeared rational when giving the instruction. Rabbi Lipschuetz of Cleves – and every single other rabbi who weighed in on the matter – disagreed profoundly with this viewpoint. The Shabbat disappearance incident was totally irrelevant, and what mattered was whether or not Isaac was lucid and coherent at the time the Get was given, which Isaac had certainly been. It had also become a matter of great concern among the rabbinic community that the Frankfurt beit din had refused to publish their legal arguments, or to publish refutations of the reasons published by those who opposed them. Especially because their stance was so contentious, it seemed odd – at best – that they refused to back up their views with solid evidence and source based material to support their views on the matter. Their complete refusal to concede to the majority view was by far the most problematic aspect of all. Had they been involved with the actual divorce – their obstinacy might have been excusable. But as their involvement had only begun after the fact, and even then only as representatives of one side, they really did not have a leg to stand on. Even had they been completely right, Jewish law dictates that the majority has priority, which meant that the Get of Cleves had to be treated as a valid legal document. Interestingly, it was never Rabbi Abish who was the driving force in the fight back by the Frankfurt rabbinate. 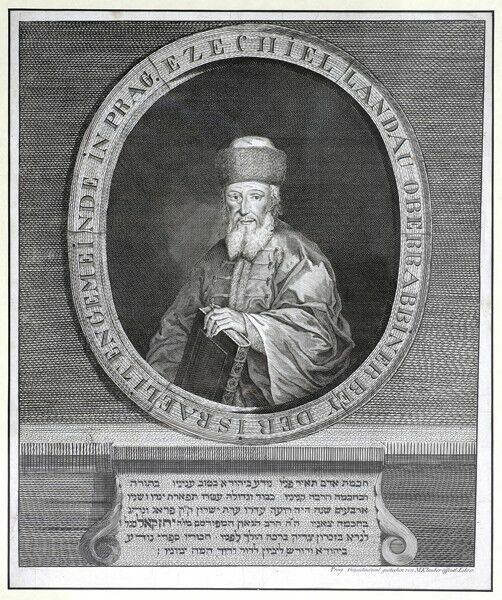 The leading protagonist in Frankfurt was Rabbi Nathan Maas, author of the scholarly work Binyan Shlomo. A charismatic and forceful personality, he was regarded as a very smart man, and was undoubtedly the most influential dayan in Frankfurt. It was Rabbi Maas who composed all the letters and public pronouncements, and it was Rabbi Maas who rabbis outside of Frankfurt accused of misleading Rabbi Abish and forcing him to stick to his guns, by convincing him that he was fighting a holy war. Tragically, Rabbi Abish died the day after Yom Kippur in 1768. His death shocked the Frankfurt Jewish community to its core. The belief was that his death had been caused only by the anguish he had suffered from the controversy. At his funeral it was announced that no rabbi who had opposed him in this case could ever be elected to replace him. 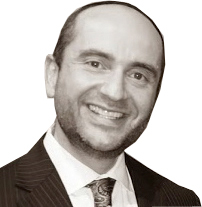 It took four years to find a replacement, due to the huge numbers of rabbis who had publicly defended the Get of Cleves against Rabbi Abish’s opinion. Eventually, Rabbi Pinchas ha-Levi Horowitz was hired to take up the position as Chief Rabbi of Frankfurt. It emerged much later that he had in fact written a letter to Rabbi Lipschuetz to support the notorious Get. But as he finished writing the letter he reached for the container of sand to scatter some of it on the letter to blot the still damp ink. Instead of picking up the sand container he mistakenly picked up the ink container and spilled it over the paper, ruining the entire letter. He began writing the letter for a second time, but someone who was with him told him not to bother. Rabbi Lipschuetz already had the support of so many other rabbis, the man said, and Rabbi Horowitz’s letter would not add anything extra, and it was not worth wasting time to write the letter for a second time. Inadvertently it was that advice that got him the position in Frankfurt a few years later. In the course of this incredible tale we have been so caught up with the epic battle between the rabbinic luminaries of Europe, that we have lost touch with the original characters – Isaac and Leah. Whatever happened to them? As it turns out, the story’s conclusion is almost too fantastic to be true, and considering the source of the story, it could well not be true. In the late nineteenth century a book was published that described the history of the Frankfurt rabbinate over the previous centuries. The story of the Get of Cleves saga was included in the book, for the first time from the perspective of the Frankfurt rabbinate. The book claimed that in early 1768 Leah and her family decided that they would accept the decision of the Frankfurt beit din, and she would not remarry, despite the numerous rabbis who had validated her divorce. Then, without warning, Isaac suddenly returned to Germany from London, and came to visit Leah and her family in Bonn. The author of this incredible version of events was a man called Rabbi Markus Horowitz, who was himself orthodox Chief Rabbi of Frankfurt during the latter half of the nineteenth century (although by now the community had split into two, with the strictly orthodox community led as a separate group by Rabbi Samson Raphael Hirsch). Rabbi Horowitz claimed that his account of events was based on previously unseen source material taken from the archived files of the Frankfurt kehilla. The rabbinic world once more erupted in uproar over the Get of Cleves, especially as Rabbi Horowitz had declared in a published work that the Get of Cleves had been invalid, as had been stated by the rabbis of Frankfurt a century earlier. This opinion had been dismissed for a century or more, and that it had now resurfaced caused no end of consternation. Rabbi Horowitz also claimed to have found a manuscript authored by Rabbi Maas in which he had explained why he and his colleagues had remained silent in the face of mounting rabbinic opposition. Rabbi Maas wrote, said Rabbi Horowitz, that the Frankfurt rabbinate had simply been asked to endorse the view of Rabbi Tevele Hess of Mannheim, who had himself witnessed Isaac’s curious behavior during the wedding week culminating in his Shabbat disappearance, and who believed therefore that the Get of Cleves was worthless. With no reason to doubt the veracity of Rabbi Hess’s opinion, as it was based on first-hand knowledge of Isaac and his state of mind, the Frankfurt rabbinate was under no obligation to change their minds once they had ruled on the matter, nor to relinquish the jurisdiction of the case, which had been granted to them by Rabbi Hess. But this statement of Rabbi Maas, as reproduced by Rabbi Horowitz, raised more questions than it answered for those who knew the ins-and-outs of the story. Concerned that the confusion caused by Rabbi Horowitz’s account would have real repercussions for halacha, many rabbis publicly condemned the Horowitz book and dismissed it as fiction. Their views were later summarized and published by a man called Rabbi Yehuda Lubetzky, the Lithuanian born Ashkenazi Chief Rabbi of Paris, in a pamphlet called ‘Kevodan shel Rishonim’. In a long introduction he repeated the view of his predecessors in the late eighteenth century, namely that a halachic decision such as the one reached by the rabbis of Frankfurt about the Get of Cleves did not occur in a vacuum, and if a majority of senior rabbis decide that you are in the wrong, it is simply untenable to persist in defending your opinion. Rabbi Lubetzky’s main criticism was directed at Rabbi Horowitz for concluding that the Frankfurt rabbinate had got it right. He accused Rabbi Horowitz of being disingenuous and sloppy in his presentation of the facts of the case, and even of being deliberately misleading in his eagerness to exonerate the Frankfurt rabbis. If the Rabbi Maas manuscript even existed – and he questioned whether even if there was a manuscript, if it was genuine, or if it was a later forgery – the most likely reason why it had never been published or seen was because Rabbi Maas himself had probably realized how foolish he would appear if he attempted to defend the indefensible. There was no doubt at all, said Rabbi Lubetzky, that halacha in such cases had been firmly established in favor of those who had supported Rabbi Lipschuetz. Just before we close the door on this incredible tale, it is worth noting that both Rabbi Lipschuetz and Rabbi Copenhagen published books recording their personal experiences of the controversy, in which they demonstrated the halachic basis for their views, and reproduced the prolific correspondence generated by the whole saga. There is quite a curious side story with regards to Rabbi Lipschuetz’s publication. In 1770 he published his work, which he called ‘Ohr Yisrael’. On pages 31 and 32, after he had accused the Frankfurt rabbis of spreading lies about him, and of being utterly dishonest, he included the text of a public declaration he had made in Cleves that described the ‘wickedness of these men’ in explicit detail, even referring to Rabbi Maas as ‘the evil and corrupt dayan of Frankfurt’. But this incendiary version of Ohr Yisrael was quickly withdrawn from circulation, possibly following negative feedback by the rabbis who were behind the campaign to validate the Get of Cleves, and whose support Rabbi Lipschuetz needed. The invective against the Frankfurt rabbinate was clearly a step too far. And so, a new version was published in which page 31 was rewritten, page 32 was removed, and the text reworked so that it flowed seamlessly from page 31 to page 33. 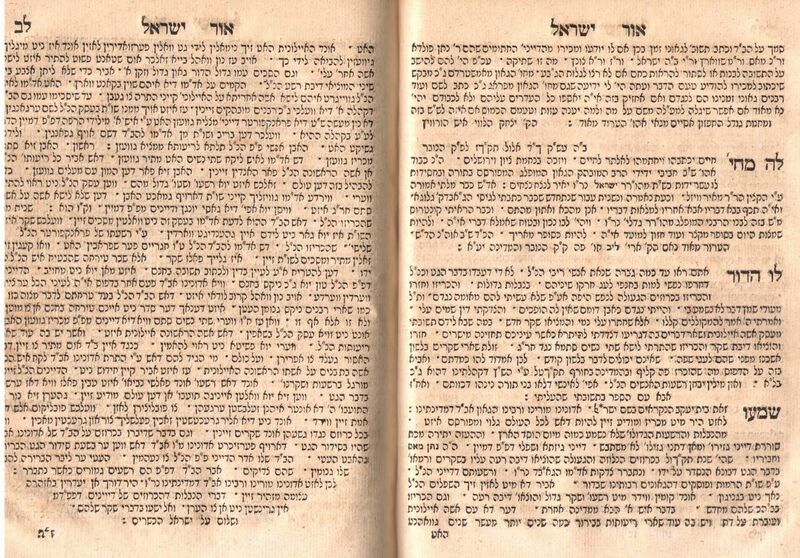 The first version of Ohr Yisrael is exceedingly rare, and perhaps there are a couple of dozen copies in the world, most of them in private hands. The second version is less rare, although it is also a prized collectors piece. I am lucky enough to have both versions in my personal collection, and have included an illustration of the elusive page 32 for the readers of this article. The ‘Get of Cleves’ controversy set the precedent for defining incompetence and insanity in divorce cases according to Jewish law. The obstinacy of the Frankfurt rabbinate forced the rabbinic community of the eighteenth century to crystallize around a more lenient understanding of the relevant definitions and to enshrine them in halacha, making it easier to ensure that women in failed marriages could not be held ransom by husbands who feign ‘madness’ and then claim they are not competent to issue a Get.